Cloud computing offers businesses more scalability, more availability of internal resources and less hardware maintenance. Protect your IT investments. Let STA guide you in moving to public, private, or hybrid cloud solutions that are right for you. Agility is one of the vital criteria for a business’s success. Organizations that fail to rapidly make changes to their products or bring new products to market are like a slowing down fan revolving on inertia. Organizations have historically created monolithic applications. Making changes to them has proven very challenging; a change to one part of an application can cause undesirable behavior in other parts of that application, increasing reparation cost and time. Organizations do recognize the advantage of adopting new technologies but feel incapacitated in applying them to existing applications due to the sheer amount of effort in terms of time, cost, and interoperability within their ecosystem. Particularly from a Cloud perspective, we are a proponent of micro-services and have successful implemented them for our clients. This has given our clients the flexibility to make changes and swiftly deploy them at a lower cost. Transforming existing monolithic into micro-services requires industry knowledge and technical skills. We have helped our financial and insurance industry clients transform their flagship applications, making them long term sustainable at a lower cost. Containerization has taken the industry by a storm. The fact that containers can harness 4 times more server usage than virtual machines is alone a criterion for adopting them. If that is not convincing, then speeding up the deployment and portability of apps might help make the case. Pushing new features from one environment to another can be a formidable task and mean risking losing a client. Docker helps reduce application deployment complexities and allows organizations to achieve consistency across environments. We have helped our clients dockerize their apps, set up their Docker Hub private repositories, and simplified their application delivery process to production. We have standardized our clients’ development, integration and production environments, which have helped them continuously deliver apps to production, reducing their time to market by 70%. Public/Private/Hybrid Cloud – Build virtualized environment, elastic storage, set up public cloud, or provide a hybrid solution. 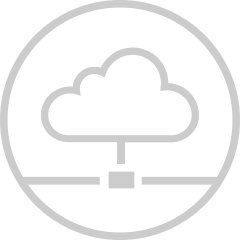 Cloud Deployment – Provide cloud management portals to deploy applications to private or public clouds. Scalable data storage – Provide data solutions that are scalable and can adjust to user volume. Scalable applications – Provide robust applications that can scale according to user volume. Cloud Security – Provide solutions that leverage enterprise security. Integration between on-premise and cloud applications – Provide integration solutions to connect on premise and cloud applications. We provide cloud services to customers to help reduce total cost of ownership of their data centers and increase business agility, and help our customers make decisions on the applications suitable for the cloud considering security, scalability, and their overall fit within their ecosystem.